Digital breast tomosynthesis (DBT) is emerging as the new standard of care for breast cancer screening based on improved cancer detection coupled with reductions in recall compared to screening with digital mammography (DM) alone. However, many prior studies lack follow-up data to assess false negatives examinations. The purpose of this study is to assess if DBT is associated with improved screening outcomes based on follow-up data from tumor registries or pathology. Retrospective analysis of prospective cohort data from three research centers performing DBT screening in the PROSPR consortium from 2011 to 2014 was performed. Recall and biopsy rates were assessed from 198,881 women age 40–74 years undergoing screening (142,883 DM and 55,998 DBT examinations). Cancer, cancer detection, and false negative rates and positive predictive values were assessed on examinations with one year of follow-up. Logistic regression was used to compare DBT to DM adjusting for research center, age, prior breast imaging, and breast density. There was a reduction in recall with DBT compared to DM (8.7 vs. 10.4 %, p < 0.0001), with adjusted OR = 0.68 (95 % CI = 0.65–0.71). DBT demonstrated a statistically significant increase in cancer detection over DM (5.9 vs. 4.4/1000 screened, adjusted OR = 1.45, 95 % CI = 1.12–1.88), an improvement in PPV1 (6.4 % for DBT vs. 4.1 % for DM, adjusted OR = 2.02, 95 % CI = 1.54–2.65), and no significant difference in false negative rates for DBT compared to DM (0.46 vs. 0.60/1000 screened, p = 0.347). Our data support implementation of DBT screening based on increased cancer detection, reduced recall, and no difference in false negative screening examinations. On behalf of the PROSPR consortium. The authors thank the participating PROSPR Research Centers for the data they have provided for this study. 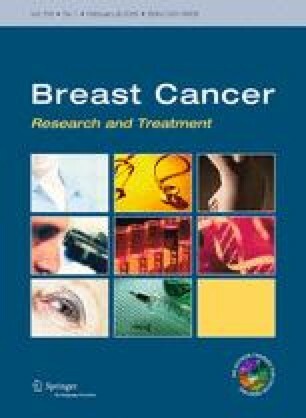 A list of the PROSPR investigators and contributing research staff are provided at: http://healthcaredelivery.cancer.gov/prospr/. Dr. Conant had full access to all the data in the study and takes responsibility for the integrity. Author E.F.C. is a consultant and has been a lecturer for Hologic, Inc., Bedford MA and Siemen’s Healthcare. Author S.P.P. has been renumerated for participating as a reader for Biomedical Systems, St. Louis, MO. Author S.D.H. holds stock in Hologic, Inc. Bedford, MA. Author K.A. is a consultant to GlaxoSmithKline, Philadelphia, PA.